There’s no one right business bank account, but some options will better suit your business than others. To help guide you through this important process, we’ve put together a business bank account checklist, broken down into three articles. The first step in narrowing down your search begins with understanding the differences between a savings account and a checking account. As the name indicates, a savings account is meant to “save” or “store” your money long term. A checking account is for spending—via check, wire transfer, withdrawal, bill pay, P2P payments, or other means. While you can certainly save money in a checking account and withdrawal money from a savings account, you’re better off using each for its intended purposes. Many accounts reward you for doing so. We’ll talk more about the best checking and savings rewards in the next two articles. 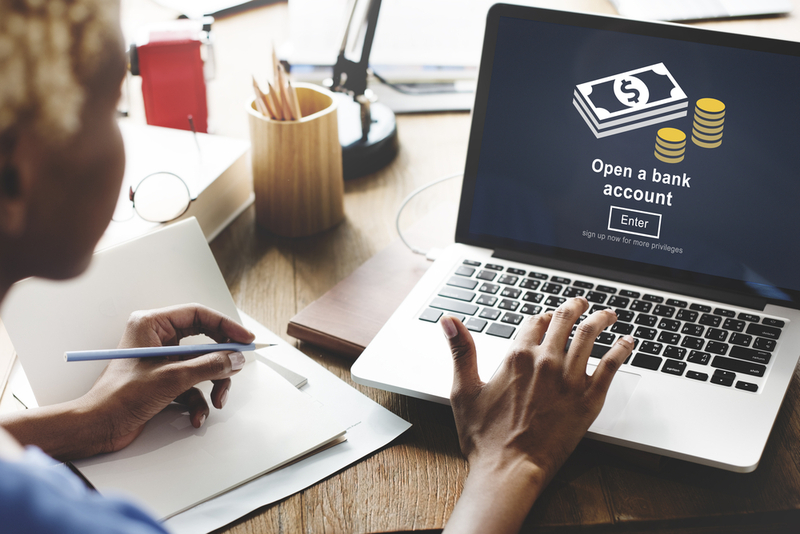 Should I Open a Business Checking Account or a Business Savings Account? Of course, checking and savings accounts are not mutually exclusive. In fact, you likely have both a checking and savings account for your own personal use. However, depending on your business’s size and revenue, one of these accounts should take first priority. As a general rule, startups and smaller businesses don’t have tons of extra cash to save. The money you make at this stage gets immediately reinvested into the business, with the goal of generating more growth. If you’re a small-business owner looking for maximum access to your cash, go for the business checking account. In contrast, more established businesses with comfortable margins produce enough revenue to warrant a savings account. By putting your idle business funds into a savings account, you allow that money to accrue interest. Shop around—the best business savings accounts give you much higher interest rates than your average personal savings account. Stuck in the middle? Consider adding both accounts. To help decide how much to put where, ask: “What percentage of my business funds am I using every month to pay regular business expenses?” And, “At what rate do I expect my business to grow year to year?” The answers to these questions should give you a good idea of how much you need accessible in a business checking account and how much you can afford to save. You can always move funds over from savings to checking later. However, if you do decide to go this route, look into linked bank accounts. Many banks will reward you for opening both business accounts together. Narrowed down your search and ready to open a business bank account? Check out our Business Checking Account Guide and Business Savings Account Guide to get familiar with key features and take advantage of the best account benefits out there.